Atelier Shinji Ginza offers you the opportunity to have pieces designed individually to mark a special occasion. With our expert guidance, you can have something completely personal and original created, either with your own ideas or by collaborating with us. Our clients are able to verify the design at each stage to make sure they get exactly what they want. We can create pieces in your preferred material, such as 18k Gold (Yellow Gold, White Gold), Silver, Platinum, Palladium, etc. Give life to unworn precious/semi-precious stones or pearl. We can separate stones/pearls from old pieces and incorporate them into our existing designs. If you would like any of our existing design modified to suit your personal tastes, for example the incorporation of an extra element, change a texture, etc., we are happy to be flexible with our designs. To get a better idea of how we can modify and arrange an existing design to reset your own stone or pearl, please contact us. 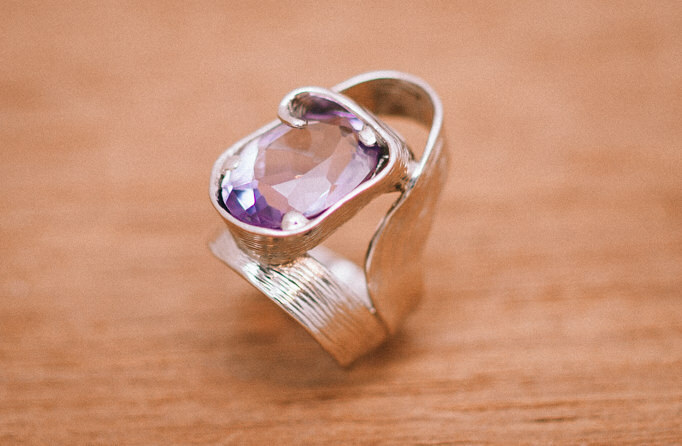 Image: Daikon peelings ring arranged to incorporate customers’ own Amethyst gemstone, realised in 18K White Gold. If you have your own original idea of something you would like made, or if you wish for something completely unique, we can help you to realize your one-of-a-kind piece with a custom-made order. We work together with our clients through the whole design process. The design possibilities of one-off unique designs are limitless. With our workshop and store in the same location, you can talk directly to us about your ideas and verify the design at the wax stage. Image: One-off design incorporating customers’ own diamonds, realised in Platinum. It is a pleasure for us to get to know our clients by creating unique marriage rings that symbolise their unity. The design possibilities are limitless, and can include incorporating personal motifs, creating a design that tells a story, or expressing a feeling which is personal to the couple. By working together, we can design one-off rings which cleverly make a set, creating a special understated luxury that will last forever. 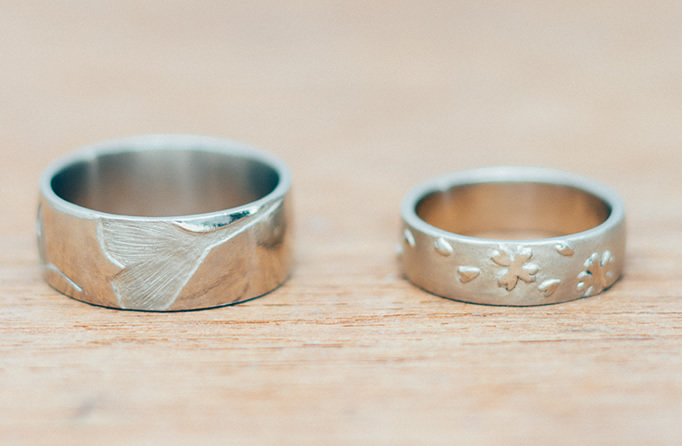 Image: Gingko and Cherry Blossom rings, realised in Platinum. The images are some examples of incorporating stones into our existing designs, with the original designs, and how the piece was realised with the new arrangement. The prices of our custom-made jewelry and jewel resetting service vary depending on your choice of material, any stones to be inset, and the intricacy of the design. To incorporate pearls, our resetting service starts from ¥1,000 plus tax, in addition to the cost of the base piece. To incorporate a stone, our resetting service starts from ¥10,000 plus tax, in addition the cost of the piece (the price can vary depending on the stone size and complexity). If you wish to drop into our Ginza store, please be aware that you may need an appointment if you need English-language assistance. 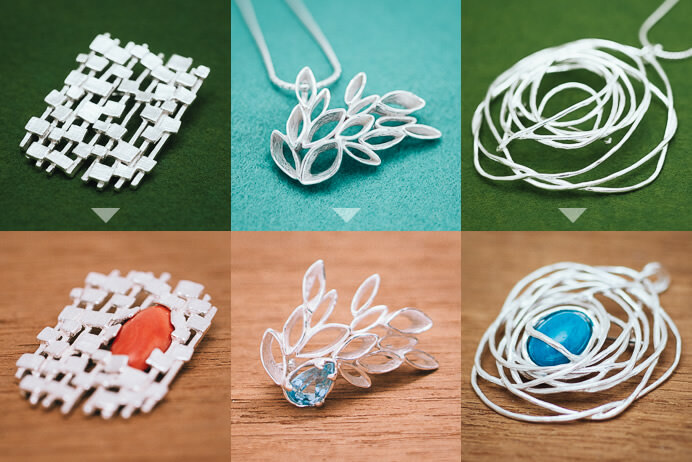 Unique one-off pieces can vary greatly in price, according to the intricacy and size of the design, your choice of material, etc. Our prototype fee starts from ¥40,000 plus tax which is for the original design (in wax form), and then an additional fee for the piece to be realized in your choice of material (for example ¥10,000 plus tax for a Britannia Silver 958 pendant). See more about the materials we offer here. 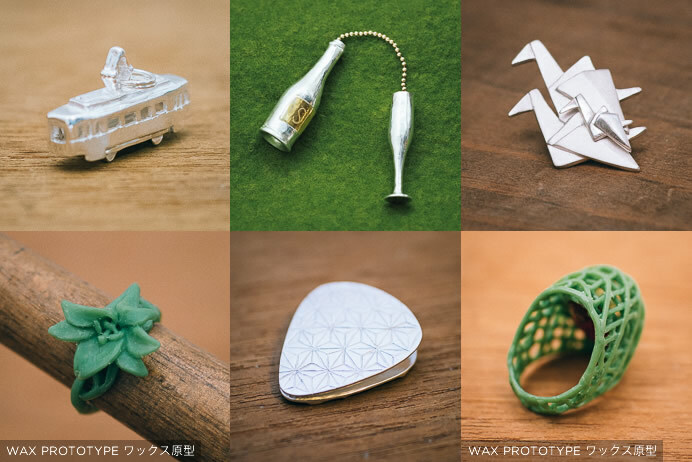 If multiple pieces of the same item are required, we are able to take the mould for ¥10,000 plus tax (to duplicate the design without having to pay the prototype fee again). To get a better idea of how much your ideas might cost to create, please contact us with your initial ideas and we will get back to you. From design to completion, our semi-custom-made and custom-made pieces usually take between two and six weeks to craft. 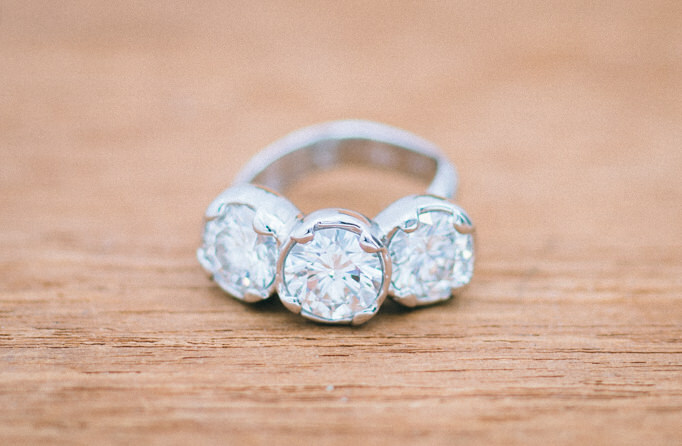 As each couple deserves the most individual of attention, we do not base our wedding rings on templates. We tailor the design to each couple, incorporating a personal touch in each and every design. The designs and case studies pictured here are examples of some of our past one-off projects. We can also make unique engagement rings. 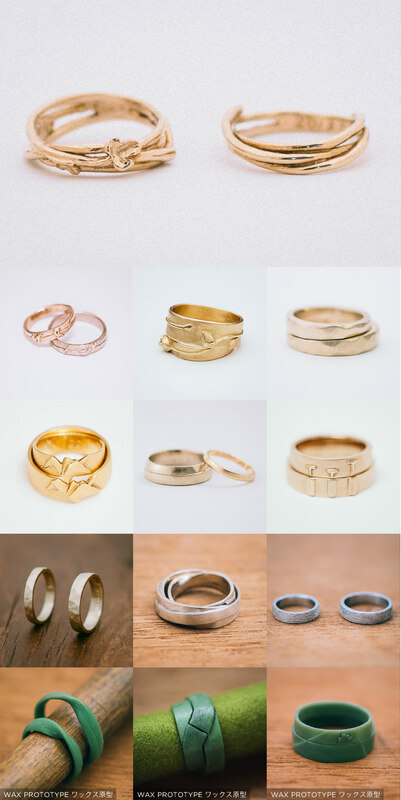 Depending on the weight and complexity of the design, the price of our custom-made wedding rings start from ¥200,000 plus tax per pair in 18k Gold (White Gold, Yellow Gold) and ¥230,000 plus tax per pair in Platinum. See more about the materials we offer here. Our customers are able to see the design in wax form in order to verify the shape. We are able to modify the design in any way at this stage. Once the ring has been cast in your preferred material, are able to adjust the finish look through oxidisation, sand-blasting to create a matt finish, polished finish, etc. 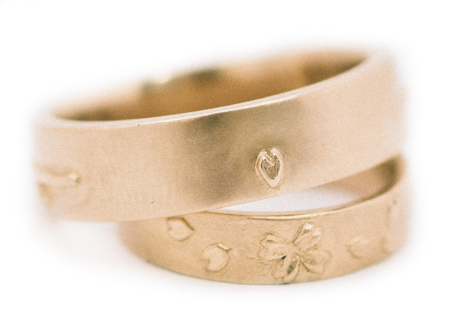 From design to completion, our wedding rings usually take between four and eight weeks to craft. For a more accurate quote, and to see more examples of past projects, wax prototypes, and to talk about ideas, please contact us for a consultation.